I have always loved animals. 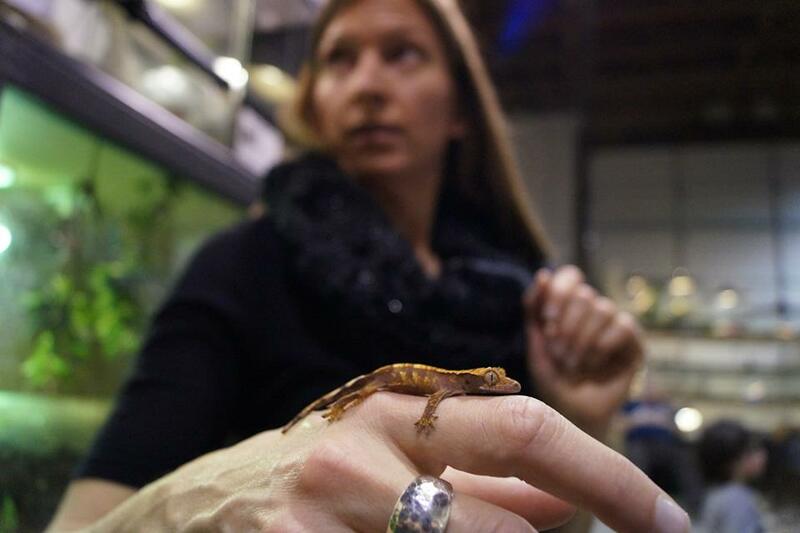 When I was a kid, I kept lizards, salamanders, snakes — anything I could get my hands on. And I’ve always had a particular soft spot for the critters that generally don’t get much love from humanity, namely the reptiles and the arachnids. As an (alleged) adult, I even have lizard tattoos (they go nicely under a business suit!). 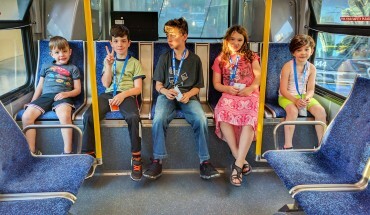 So as a dad I’ve been really delighted to see that all five of my kids are also really into animals. One of my favourite photos features my five-year-old girl holding a giant slug that we found on a family camping trip. 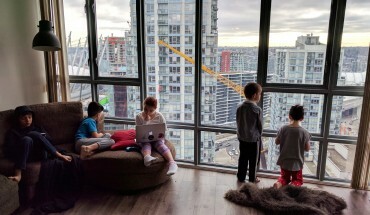 But of course one of the limitations of our urban condo lifestyle is that pets are pretty much off the table: not only are the kids still pretty young for the responsibilities that come with pet ownership, but we don’t have room. Period. 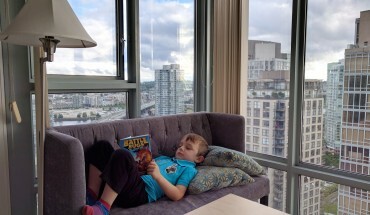 So what’s an animal-loving downtown dad to do? Enter The Reptile Guy. 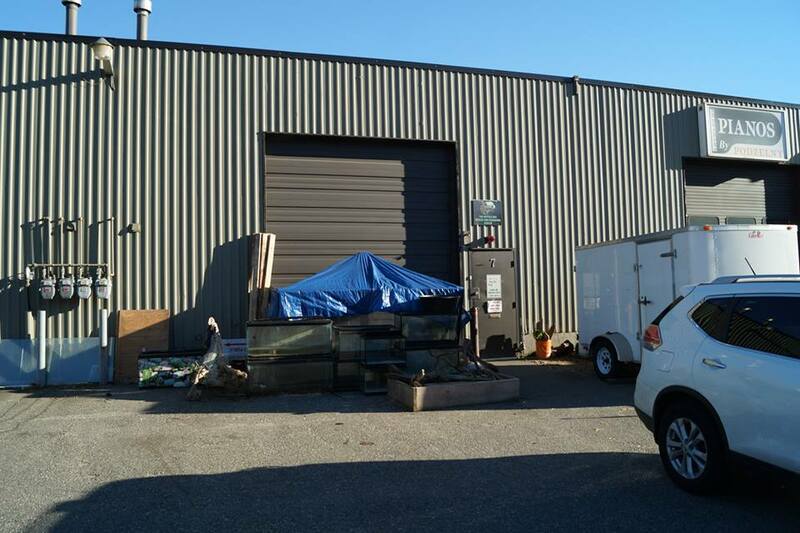 Located in Abbotsford, about an hour’s drive from where we live in downtown Vancouver, the facility is owned and operated by Mike Hopcroft, another life-long reptile enthusiast. 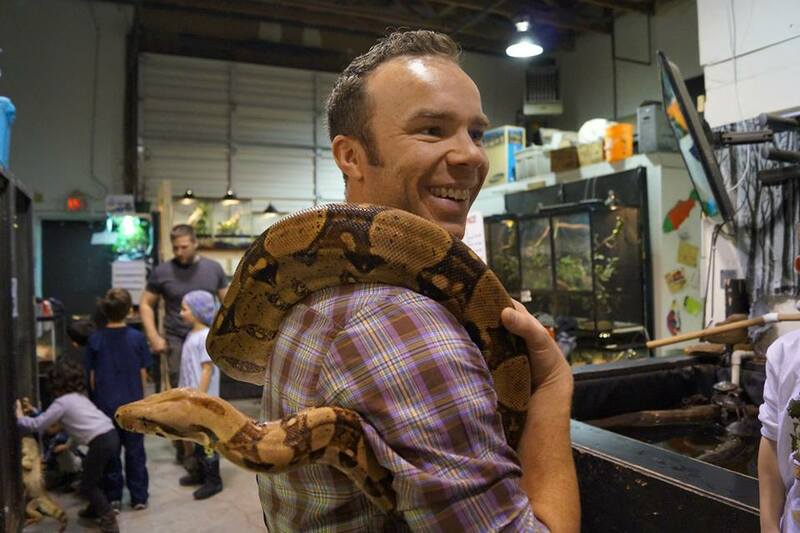 His modest 2000-square-foot building currently houses over 100 rescued and surrendered reptiles, including a 200-lb python and a 7.5-foot alligator. Modest on the outside. Reptile Nirvana on the inside! I had seen Mike’s display last summer at the Cloverdale Rodeo and nabbed a brochure to put on our family’s activity board, where we post ideas for day trips and things to do together. 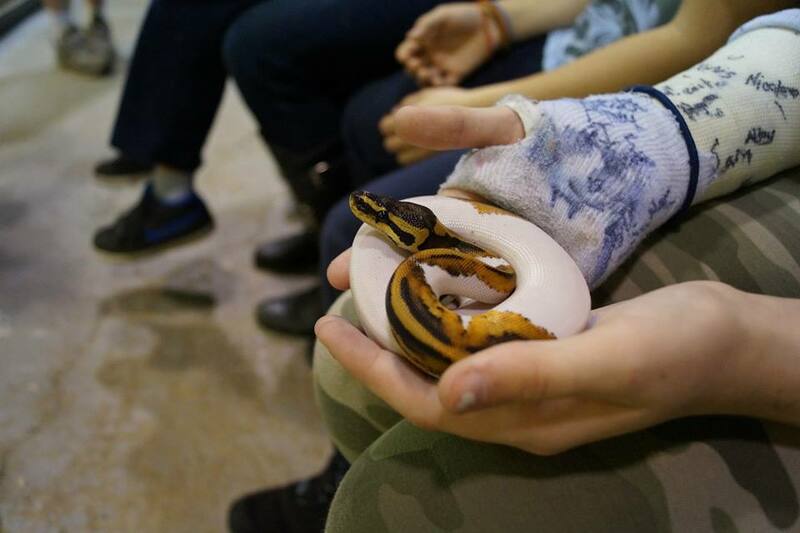 So when Reptile Guy day finally rolled around, it was hard to say who was more excited to go: me or the kids! We piled into our trusty old van and set out — if you want to visit, you’ll definitely need to rent or borrow a vehicle, since the facility is not really accessible by train or public transit. We found the building without too much trouble, paid our admission, and the kids scattered like roaches to take in the up-close-and-personal displays of the critters they love. Pied ball python held by E, one of the kids’ friends. After everyone had had gotten the lay of the land, as it were, Mike and his assistant herded us together and began doing what he does best: hands-on teaching. One by one, he brought his charges out of their enclosures, spoke to us about the animal — its habits, its food, how he came to have it in his care — and then let each of us have a turn holding it and interacting with it: pythons large and small, corn snakes, scorpions (yes, really! 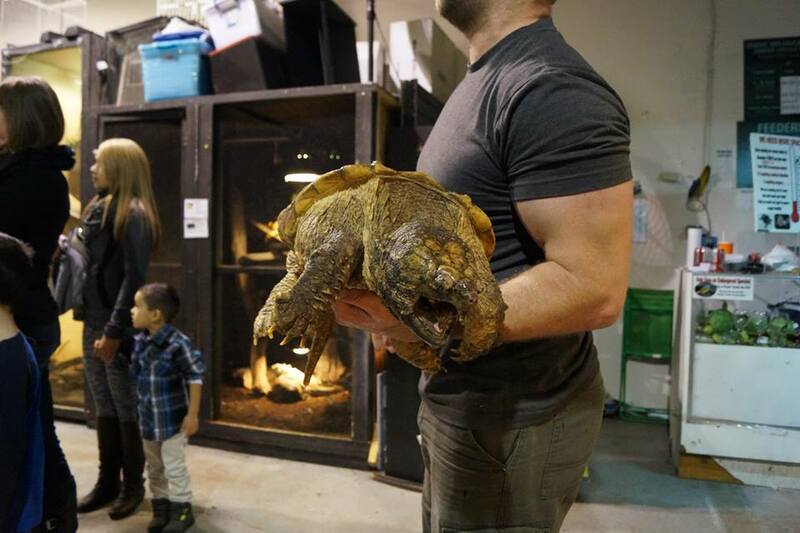 ), tarantulas, turtles, tortoises, lizards… we did them all. One of the rare times all eyes weren’t on this snapping turtle. Aside from the incredibly high fun factor, there are two things that I really loved about this trip — first is that Mike is very, very good at what he does. You get one-on-one attention from him, rather than being simply processed in with a hundred other people: it’s going to be just you and your family and him, with him showing you stuff and teaching you about it. Even the tiniest of lizards could be held. So for the kids, it was an excellent awareness exercise, for sure, but mostly it was so much fun I could hardly drag them out of there. Two hours just flew by — which is saying something when you’ve got young children in tow. We bought a couple of snacks and some juice when some of the smaller tummies rumbled, but otherwise the kids were completely focused on the animals and on Mike. Naturally, on the way home and for a few days afterwards, there were some pleas (especially from my oldest son) to get a snake as a pet. But I think he understands that while this is not in the cards for our family right now, what is most definitely in our future is more trips to see The Reptile Guy. I’d rather take ten trips to this place in a year, and have the kids handle all different kinds of animals and learn about them, than own just one pet that (inevitably) we’ll all become a bit bored with. So when I put the latest Reptile Guy brochure back up onto our family activity board, front and centre, I can tell you that five out of five kids agreed, loud and clear! Please, kids, can I have this one? ?